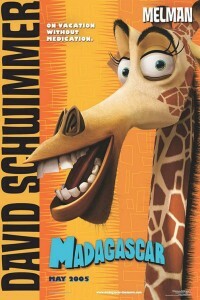 In the tradition of Shrek and Shark Tale, Madagascar is a fun filled animated romp about city pampered zoo animals who land up being shipped to the wild. The penguins that are the cause of practically every commotion in the film hatch a plan to leave the New York Central Park zoo in search of Antarctica. 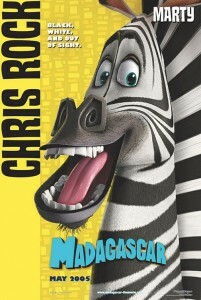 Marty, the zebra, with a superb voiceover by Chris Rock, sees the penguins escape route and soon entertains his own ideas of exploring the world outside, namely, the bright lights of Manhattan. 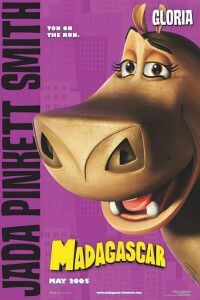 Despite protests from his friends: Alex the furry but confused lion (Ben Stiller), Gloria, the no-nonsense Hippo (Jada Pinkett-Smith) and Melmon the Hypochondriac giraffe (David Schwimmer), Marty escapes and is soon pounding the New York pavements. 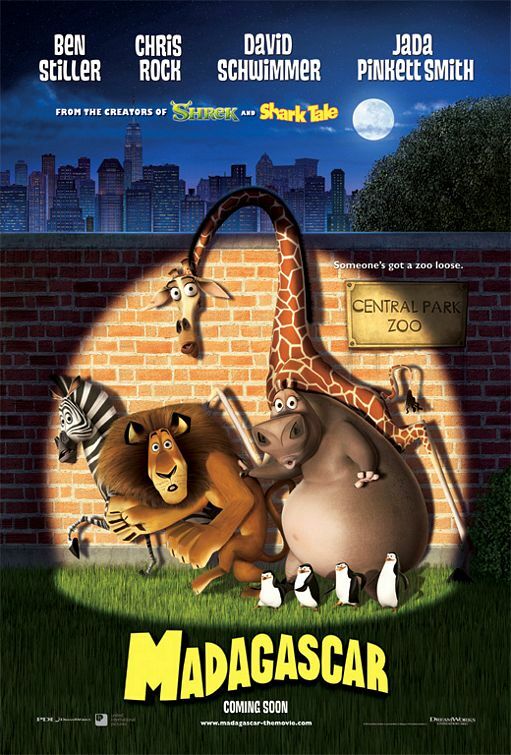 As the film caption states, soon there’s a zoo loose, as Marty’s friends leave the zoo to go looking for him. The game is up when all the escaped animals, including the mischievous penguins are caught in a hilarious scene at Grand Central Station. Thinking that they will be restored to their places at the zoo, there is shock when the animals awake in separate containers, sailing on a ship bound for Africa. 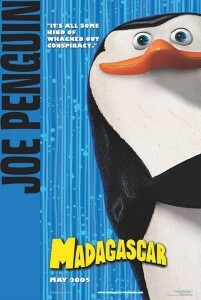 The meddling psychotic penguins, in a military style operation, soon take charge of the ship, causing major disruptions as they change direction for Antarctica. The penguins’ no excuses, but results takeover attempt soon lands the furry foursome overboard. They are washed ashore on the Island paradise of Madagascar. Like most of us, city slickers, the thought of being left in a wild, untamed environment, with no modern luxuries is truly terrifying. So these animals are out of their depth, when they have to start fending for themselves. 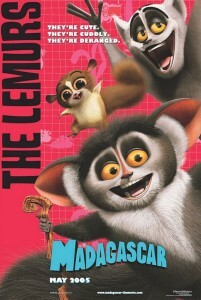 Their salvation comes, when they meet the Lemurs, the party loving, tree-hugging rodents headed by the outrageously camp King Lemur, voiced by Sasha Baron Cohen, alias Ali G. What ensues is an hilarious story of how Marty and his friends adapt to their exotic environment, while befriending the Lemurs, and dealing with Alex’s emerging inner self as a carnivorous lion, who soon sees Lemurs and company turning into juicy steaks. The film’s great moments came from the penguins, whose covert actions propel the story line forward at every turn, from the great zoo escape to hijacking the ship to Antarctica. I think we should take a leaf out of their book – for when all else fails, the penguin philosophy is simply to smile and wave boys, smile and wave! 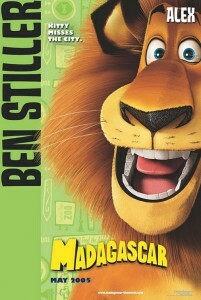 Madagascar is a highly recommended as a thoroughly entertaining animated film, whose humour and sophisticated story line will appeal to the young, the old and the emerging millennials.